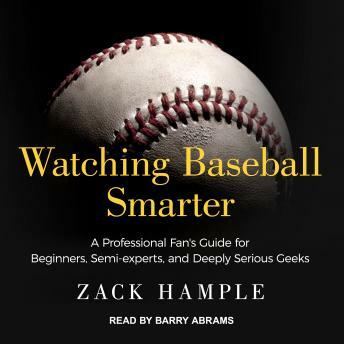 This smart and funny fan's guide to baseball explains the ins and outs of pitching, hitting, running, and fielding, while offering insider trivia and anecdotes that will appeal to anyone-whether you're a major league couch potato, lifelong season ticket-holder, or a beginner. - What is the difference between a slider and a curveball? - At which stadium did 'The Wave' first make an appearance? - How do some hitters use iPods to improve their skills? - Which positions are never played by lefties? - Why do some players urinate on their hands? Combining the narrative voice and attitude of Michael Lewis with the compulsive brilliance of Schott's Miscellany, Watching Baseball Smarter will increase your understanding and enjoyment of the sport-no matter what your level of expertise.